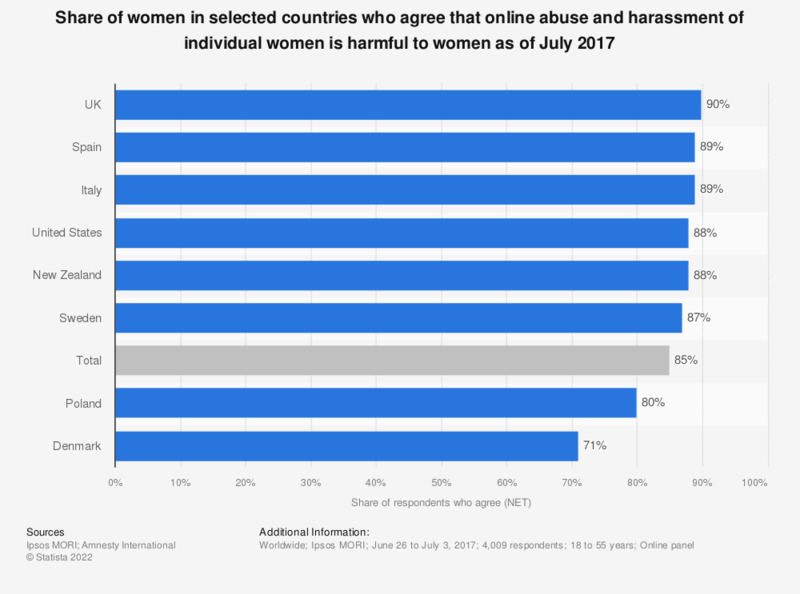 This statistic presents the share of women in selected countries who agree that online abuse and harassment of individual women is harmful to women as of July 2017. During the survey period, 85 percent of total survey respondents agreed with this statement. The UK had the highest agreement rate with 90 percent. Respondents who stated "strongly agree" or "tend agree"